– Bicycle level of service. 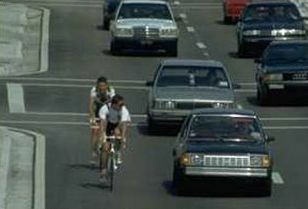 Shared road with regular lane width. 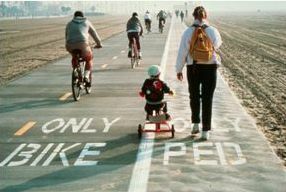 – Dedicated road space with dividing paint stripe. – Dedicated path or trail. Different State and local guidelines. – Other road cross section or traffic variables. 2002 Review of North American and European guidelines. Wide curb lanes: moderate volumes/speeds. Facility selection is essentially a State/local policy decision. Integral to planning: an inventory of existing conditions. 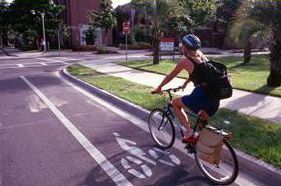 How suitable are certain roads for bicycling? 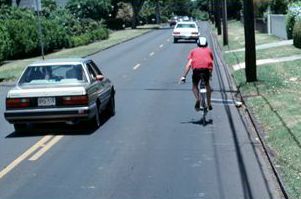 Product of 1998 FHWA study. – Presence and width of shoulder or bike lane. – Vehicle traffic volume and speed. – Presence of vehicle parking. – Type of roadside development. Product of 1997 study in Florida, with subsequent testing and validation. – Vehicle traffic volume, speed, and type. Identifying design configurations for improvements to existing roads. – Two commonly used models.